China’s consumer market is expected to continue growing at a rapid clip over the next decade, driven by urbanization, a growing middle class and government policies designed to stimulate domestic consumption. With levels of consumption in Europe and the United States predicted to remain sluggish over the next few years, multinationals are increasingly recognising the significant opportunity the Asia-Pacific represents for suppliers of consumer goods and services. The scramble to access Chinese consumer markets has, in turn, resulted in a growing demand for research providing meaningful insights on the buying habits, preferences and behaviours of Chinese consumers, which are far less understood than those of consumers in Western markets. While the volume of research being undertaken on Chinese consumers has never been greater, in many respects the challenge of researching Chinese consumer markets has never been greater. In the early days of China’s reform and opening period, consumer research tended to be ad-hoc and exploratory in nature. Companies would send teams of researchers into the field (often very remote locations) to conduct qualitative interviews and focus groups with consumers. It is only relatively recently that brand-owners and research agencies have begun to conduct large-scale quantitative surveys with consumers via telephone, face-to-face or by email. Equally, until recently, consumer research tended to focus primarily on consumers in Tier 1 cities, such as Beijing, Shanghai, Guangzhou and Shenzhen, where average incomes and spending power have always been much higher than in more remote regions. This means that research has tended to focus on the wealthiest 5% of China’s population, leaving the remaining 95% under-researched and little understood. Most research professionals today recognise that opportunities now exist for consumer goods suppliers throughout China, and are no longer just confined to a select group of consumers in China’s largest cities. An expanded middle class and rapid urbanization mean that companies must now understand the needs and behaviours of consumers across a much broader set of geographic and demographic barriers. This presents a myriad of new challenges in terms of gathering information from a much more diverse and varied set of consumers, spread over a much broader geographical area. 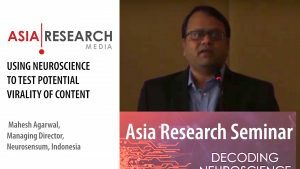 Both client-side researchers and research agencies are increasingly faced with the question of how best to collect and analyse data from such a diverse mix of audiences in a fast, effective and representative manner. Another issue for researchers to contend with is the sudden availability of a much more extensive range of data-collection tools and techniques. The explosion of mobile usage in China, increased internet penetration, the almost ubiquitous use of social networking among youth demographics, and improved tools and techniques for using new media to collect data mean that the possibilities for collecting data on consumers in China seem increasingly limitless. 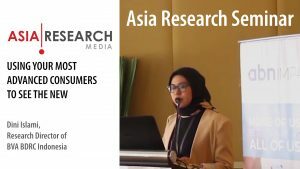 A key challenge for the market researcher working in Chinese consumer markets is how to manage these different streams of information, deciding which methods best suit the target demographic, and learning new methods for analysing and interpreting the masses of information that are becoming available. B2B International has been present in China since 2006 and is, therefore, in an ideal position to help clients to make better sense of China’s rapidly changing consumer landscape. 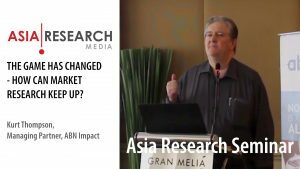 Having been delivering insights on the China market to clients in different industries for several years, B2B International has now launched Deep See (www.deepseeresearch.com), a specialist consumer market research and intelligence agency. Recognising the complex set of requirements facing many companies when looking to enter and expand in international markets such as China, the Deep See initiative will help B2B International to deliver against clients’ b2b2c requirements and provide a more holistic view of the marketplace. With offices spanning the Asia-Pacific, Europe and North America, Deep See will help clients operating in consumer markets to test products, seek opinions, probe customer satisfaction, assess markets and develop pricing strategies. In line with the many challenges facing corporations when looking to better understand consumers in China and other Asian countries, Deep See’s offer will include customer experience research, social media research, web site benchmarking, and customer segmentation. The former identifies each interaction that the customer encounters along each stage of the journey from cradle to grave; while Deep See’s social media monitoring tool keeps a detailed track on what is being said and written about a brand or campaign in the Chinese market.